MYETX traveled the Pineywoods in 2013 from North-East Texas, all the way down to Matagorda in search of food, fun, and history! We had a lot fun and learned even more about East Texas! MYETX has compiled a 2013 Year In Review for our readers. 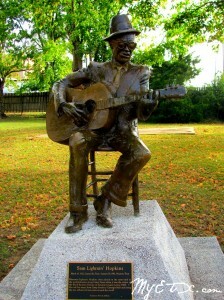 Canton– MYETX started off the year with a trip to Canton for some First Monday Pickin’. Every collector, craftsman, artist, and treasure hunter in East Texas worth his weight knows that First Monday Weekend in Canton is the treasure chest of the Pineywoods. 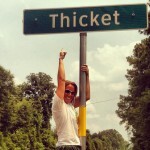 Lick Skillet– Discovering the legend of “Lick Skillet,” a name deeply rooted in East Texas culture for over a century. East Texas’ Premier Taxidermy Studio– MYETX toured The Sportman’s Memory Shop in Grapeland, Texa that has been helping hunters preserve their trophies since 1980, and has become East Texas’ premier taxidermy. Get Fed at the Shed In Edom- At the intersection of Farm and Market roads 279, 314, and 2339, in the quaint little community of Edom stands The Shed. The Shed has been serving up “honest to goodness country cookin’” since 1967. If you like your meals like grandma used to make them and don’t mind getting off the beaten path, then you will love The Shed! 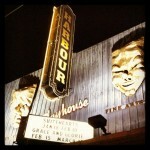 Harbour Playhouse- This was my first visit to the the Historic Harbour Playhouse in Dickinson. The playhouse is an old movie hosue which has been transformed into a live performing arts theatre. We saw Sweethearts at Harbour Playhouse in Dickinson. Before the show we were treated to a backstage tour of the facility. Kettle House– For over half of a century rumors, myths, and urban legends have swirled about the mysterious Kettle House on Galveston Island, and still no one seems to have the facts. Mardi Gras- MYETX celebrated Mardi Gras in Jefferson and Galveston in 2013. Adventure on the Trinity Reveals Fading & Forgotten ETX History – MYETX always jumps at the opportunity to have an ETX adventure, so when we got a call to take a trip down to the Trinity River to see some amazing architecture with long-time Anderson County residents Bo and Jodi Harding, we jumped at the opportunity. Mary Allen Seminary- Atop a hill in Crockett, on HWY 19 sits a fading historical treasure. The Mary Allen Seminary, which was once a bustling school for African American girls and later a co-ed junior college, is now a crumbling structure. New London School Explosion– On March 18, 1937, a day much like any other in the unincorporated districts of London and New London, in Rusk County, a generation of East Texas was lost. For many years New London residents did not speak of the tragedy, but in 2013 they began told their stories of that tragic day in East Texas and how it changed history. Ghosts the Musical- PCT played to sold out audiences as they performed “Ghosts the Musical” at the Historic Texas Theatre. MYETX visits Uncertain ever opportunity we have. There is nowhere in Texas like Caddo Lake. Wildflowers East Texas Scenic Wildflower Drives- the wildflower season of 2013 was beautiful! Make plans to take a drive this coming spring to see the wild beauty of East Texas. What About Kabob- With a name like “What About Kabob” you can’t help but wonder, “What about it?” MYETX usually looks for southern-style diners and dives on the road, but this time we decided to try something untraditional in East Texas. While the Pineywoods is not known for serving up Greek dishes, What About Kabob in Tyler proved to be a rare gyro-gem that we can’t wait to visit again! 59th Performance of the Diamond Bessie Murder Trial- 2013 marked the 59th year of the performance Diamond Bessie Murder Trial at the Historic Jefferson Playhouse. Stagecoach Road- Red dirt roads sprawl beneath the pine tree canvas of East Texas offering a slower pace, and are perfect for a scenic drive. But not every dirt road in the Pineywoods leads to mystery and folklore like one in particular just outside of Marshall, Texas. Stagecoach Road in Harrison County has been in use since the early 1800’s, and has been the source of many, many tales, racing heart beats, and chill bumps that will raise the hair on the back of your neck for decades among East Texans. Hiking Through History at Mission Tejas State Park- What Mission Tejas State Park lacks in size and amenities it certainly makes up for in history. Located on the El Camino Real, Texas Highway 21, between Alto and Crockett, the 363-acre park marks the historic location of Mission San Francisco de los Tejas, the first Spanish mission in the province of Texas, established in 1690. Bottle Digging is always fun! Especially when you find a honey hole! 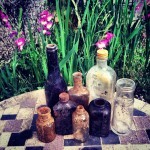 These bottles were found in Palestine, Texas. Big Thicket- MYETX paid a quick visit to the Big Thicket in 2013. We are planning a longer visit in 2014. Texas Blueberry Festival- The 24th annual Texas Blueberry Festival returned to the oldest town in Texas the second Saturday in June with a celebration of the annual blueberry harvest, featuring delicious blueberry fare, live entertainment and activities for all interests and ages. The festival is the only state sanctioned blueberry festival in Texas, making it unique and extremely popular. 27th Annual AIA SandCastle Competition- For over two decades teams of architects, designers, and engineers have taken their tools to East Beach in Galveston for one of the world’s largest sand castle competitions. On Saturday, June 1, 2013 Galveston Island will celebrated the 27th annual AIA SandCastle Competition on East Beach. Cemetery Searching in Galveston- I never make a trip to Galveston without visiting the cemeteries. Supermoon Over ETX- Did you miss 2013′s closest supermoon? If so, don’t fret! MYETX captured the supermoon for your viewing pleasure! Tornado Leaves Providence Gone With The Wind- At least six towns in Texas were named Providence. Providence, Texas in east Anderson County isn’t even a ghost town any more; Providence has been forgotten. But those who visit the site, cemetery searchers, and others who take a wrong turn off of FM 323 in Anderson County know the beauty on top of the hill, but few know the quickly fading history of Providence. Ghost Town on the Neches- Ghost towns lie forgotten beneath the pine tree canvas of East Texas, often only marker by a Texas State Historic Marker. Take Fastrill, located near the Neches River, twelve miles south of Rusk and 15 miles west of Alto, in western Cherokee County. Most people would never know that such a thriving little logging community ever existed if it were not for the historical marker on the side of the road and the oral history passed down from generation to generation. Crabbing In Matagorda is one of my favorite summer treats. 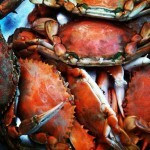 We crab all day and then cook up our catch for dinner! Box’s Fort Historical Marker- If you have ever taken a drive in East Texas most likely you have seen a historical marker on the side of the road and wondered what it said. Sadly, many never stop and always wonder. MYETX almost always stops (weather and circumstances permitting) to read the historical markers so you don’t have to wonder any longer. The 2013 Great Texas Balloon Race- July 26-28, The Great Texas Balloon Race (GTBR) returned to the East Texas Regional Airport, marking 34 years of hot–air balloon racing in Longview. 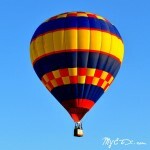 It’s a world class event attracting the very best competitive pilots from across the United States and the world. Packed with events from dawn to dusk, the GTBR is a weekend festival with something for everyone. Christmas In July- Santa spread “summer” holiday cheer when he arrived in Palestine for the Christmas in July celebration. The Christmas in July celebration was twelve days of food, shopping, fun and holiday preparations. Annie Live at the Historic Texas Theatre– One of America’s most beloved musicals, Annie, was performed at the Historic Texas Theatre in Palestine in 2013. Palestine Community Theatre staged this timeless tale of Little Orphan Annie, directed by Chaundra Dantin. Fourth of July Celebrations Across ETX- MYETX spent July 4 in Matagorda, Texas. We took in a firework show in Bay City, Texas. Mel Tillis Performs In Lufkin- Landmark Productions and Lehmann Eye Center present Country Music Hall of Fame Member, Mel Tillis, in concert in Lufkin, Texas. Texas Big Fig Gig- Fig growers and fig lovers from across the nation will be center stage during Marshall, Texas’s Main Street’s Second Saturday festivities on August 10 when they converge in downtown for the first-ever Texas Big Fig Gig. 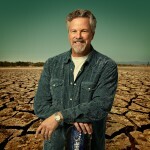 Robert Earl Keen- “The road goes on forever…the party never ends!” Piney Woods Fine Arts brought one of Texas’s most loved artists to Crockett and invited MYETX. Thanks again, PWFAA! Pickers and Treasure Hunters Head to Grapeland for Labor Day Fun- Labor Day Weekend is about more than BBQ’s and celebrating the end of summer in Grapeland, Texas. Pickers of all sorts will be flocking to the little town beginning today for two long-standing traditions- Annual Labor Day Weekend Bluegrass Festival and treasure hunting. Greater Tuna in Tyler- Tyler Civic Theatre kicked off their 65th consecutive season with the Texas based comedy, “Greater Tuna.” MYETX gave the performance two thumbs up! Palestine Municipal Airport to Celebrate 80th Anniversary- The Experimental Airport Association Chapter 1549 (EAA) will hosted the 80th Anniversary Celebration for the Palestine Municipal Airport. The Pour House- The Pour House Grill and Garden is situated in a nearly-century-old home in the “old” downtown Lufkin area. Over the years, the house has served as everything from a frat house, antique shop, a chiropractor’s office, a daycare and now as a restaurant and live entertainment venue. 68th Annual Peanut Festival- The Queen City of the Sand Flats hosted the 68th Annual Peanut Festival. Tombstone Tourist- A few years ago, when my love for East Texas history, ghost stories, and photography began to merge, I started spending a lot of time in old historic final resting places around the Pineywoods. 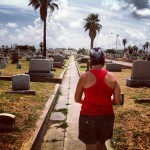 Since I began my journey with MYETX I have visited cemeteries, burial grounds, grave sites, and monuments from Jefferson, Texas to Galveston, Texas. Historic Building Burns In Downtown Palestine– Just after midnight, on Friday, September 28, Palestine lost one of its historical buildings to a fire. The Red Velvet Cake War at the Historic Texas Theatre- PCT kicked off their fall show Texas Style. Hot Pepper Festival- MYETX cooled off Cool off at the “Hottest Little Festival in Texas” featuring JB and The Moonshine Band. Glamping In The Pines- Vintage campers are making a comeback. It is not unusual to see a 30 or 40 year old tin can in tow behind a modern day vehicle headed to a state park in Texas. 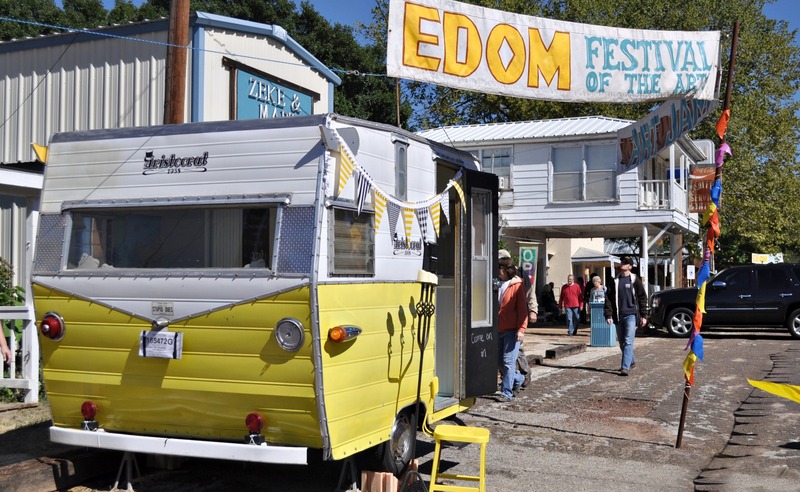 12th Annual Edom Arts Festival- The quaint little community of Edom, Texas, serves as perfect contrast for the premiere art festival of East Texas. On an ordinary day the vibe in Edom is unique and beckons to collectors, artists and tourists alike. It was no wonder hundreds of visitors flocked to Edom for the 12th Annual Edom Festival of the Arts this past Saturday. East Texas Fall Foliage Routes- Every year MYETX drives the back roads of ETX looking admiring the beautiful fall foliage. Now you can, too! A Southern Exposure- A multi-award winning comedy-drama by native Texan Kelley Kingston-Strayer, made its Regional Premier on November 1, at the historic Liberty Hall theatre in downtown Tyler. 25th Annual Heritage Syrup Festival- Many years ago, just as the East Texas Pineywoods would begin to shout with fall color families would gather at local syrup mills for a time of fellowship and trading, but most importantly, Ribbon Cane Syrup. A sweet East Texas tradition continues at the Annual Heritage Syrup Festival the second Saturday of November. The Grinch’s Lair- He’s Mean. He’s Green. He was in Palestine! The Grinch was locked up inside the Historic Anderson County Jail in December. Hearth & Tinsel Historic Home Tour in Palestine- During the first weekend of Christmas In Palestine I had the opportunity to take the Hearth & Tinsel Historic Home Tour. The homes were as magnificent and and romantic as I had imagined, and among the most finest and most beautiful historic architecture in the state. Killough Massacre Monument- After researching the Eden-Madden Massacre near Grapeland, Texas a few years ago, I became interested in other such sites of unfortunate and tragic events in East Texas. I had long since heard tales of the Killough Massacre, which took place on the outskirts of present-day Jacksonville, Texas. There was no shortage of local lore and legends surround the burial ground, which only intrigued my adventurous spirit even more, and the history surrounding the obelisk monument built in remembrance of the worst Indian massacre in East Texas history lured me in. Pie Heaven- Oxbow Bakery & Antiques- Texas born humorist Jack Handy once said, “When you die, if you get a choice between going to regular heaven or pie heaven, choose pie heaven. It might be a trick, but if it’s not, mmmmmmmm, boy.” But you don’t have to wait until you die to go to “pie heaven.” Tucked away in Historic Old Town Palestine you will find a perfect little pie shop nestled in an antique parlor capable of transporting your senses to a state of euphoria. 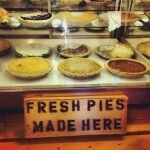 Oxbow Bakery & Antiques is serving up hearty lunches and heavenly pies, with a side of nostalgia. A Taste of New Orleans In Longview- New Orleans (NOLA) has an incredible and distinctive regional food tradition, but you can have a taste of NOLA in the Pineywoods. New Orleans-style creole cuisine is on tap at Johnny Cace’s Seafood & Steakhouse in Longview, Texas. For over 60 years, the Cace’s have been carving out their creole niche in East Texas and keeping their family history and legacy alive. 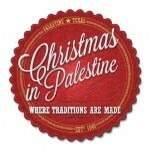 Christmas In Palestine- This year MYETX spent Christmas in Palestine, Texas…Where traditions are made! MYETX had a great year in 2013 bringing events, history, photos, and much more to our readers. Thanks to everyone who reads MYETX! Stay tuned for more ETX fun in 2014! NACOGDOCHES- The C.L. Simon Recreation Center Gymnasium will be the site for this year’s African-American History Celebration on Tuesday, February 25th at 6:00 p.m. The event will feature a reenactment by community members of major events in African-American history. The program will also feature the Carpenter Elementary choir, Nacogdoches musicians and church choirs. 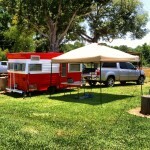 Edom, Texas- The quaint little community of Edom, Texas, is home to the premiere art festival of East Texas. Edom has been hosting artists for forty years in a meadow just a stone’s throw from downtown for this annual event. This weekend Edom will be humming with art lovers, collectors and live music at the 14th Annual Edom Festival of the Arts.